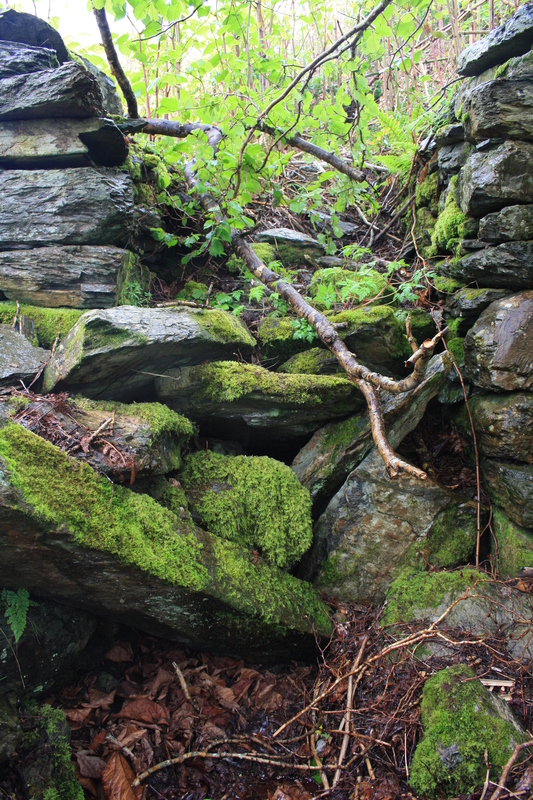 We visited Ffynnon Fihangel, St Michael’s Well, on the Crimea pass between Dolwyddelan and Ffestiniog in 2013, reporting on the noted fallen stone there, with the countless names of visitors carved into it, and a small spring emerging beneath. Correspondence and comments received since have thrown into doubt whether this spring is actually known as Ffynnon Fihangel, it may just have been a misrecording, although it still appears as such in the Historic Environment Record (HER); and while it may possibly remain as an important site, linked with 19th century preachers, what is certain is that it is not the Ffynnon Fihangel of Ffestiniog. 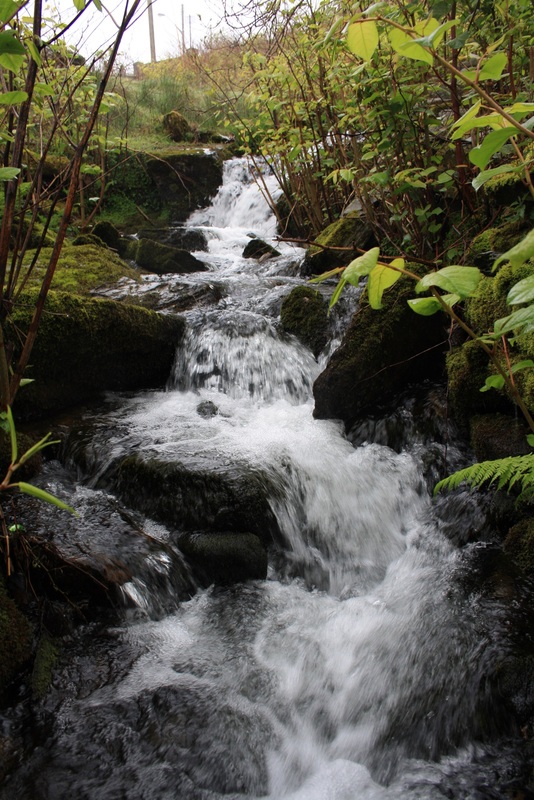 This spring lies a few miles further along the road at Manod, about half way between Llan Ffestiniog and Blaenau Ffestiniog. The spring here lies equally as close to the A470 as the previous one, and is perhaps equally as lucky to have survived recent road improvements. It is covered by the remains of a small building, built probably in the mid 19th century called Ffynnonddwr. It is beside a fast flowing stream ion private land belonging to the farm Y Ffynnon. At present nothing can be seen of the spring itself as it lies buried under the debris of the collapsed building and the build-up of earth inside; however the spring still flows strongly emerging from the end wall of the cottage and flowing towards the southwest to join the stream. We are referring to this as Ffynnon Fihangel now although it has not always been known as such in recent times. The earliest known reference to the name Ffynnon Fihangel being applied to this spring is from a map of 1795; later maps refer to it simply as Y Ffynnon. Williams in his History of the Parish of Ffestiniog (1882), which provides this 1795 information, suggests that until the beginning of the 19th century the well attracted numerous visitors looking for cures for arthritis, paralysis and seizures; although it might have fallen out of popular use relatively early in the 19th century, to the extent that a house could have been built over it. Visitors to the well continued into the 20th century. Emrys Evans (1997) records a case of it being resorted for a cure for a sprained ankle early in the 20th century. 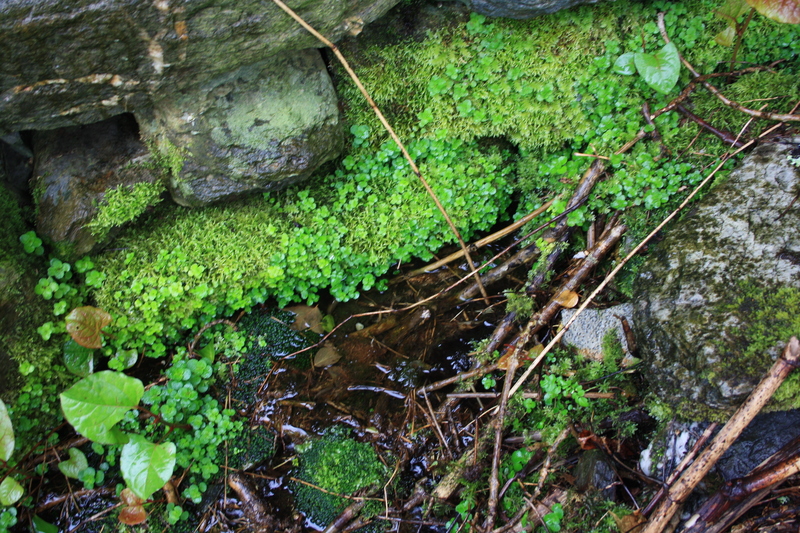 This is not so much a well as a spring of water which, rising beneath the floor of an old ruined house, flows copiously through an iron pipe from under the ruins. It is still resorted to by sufferers from rheumatism, fractured limbs and other maladies, but not to the same extent as in former days. 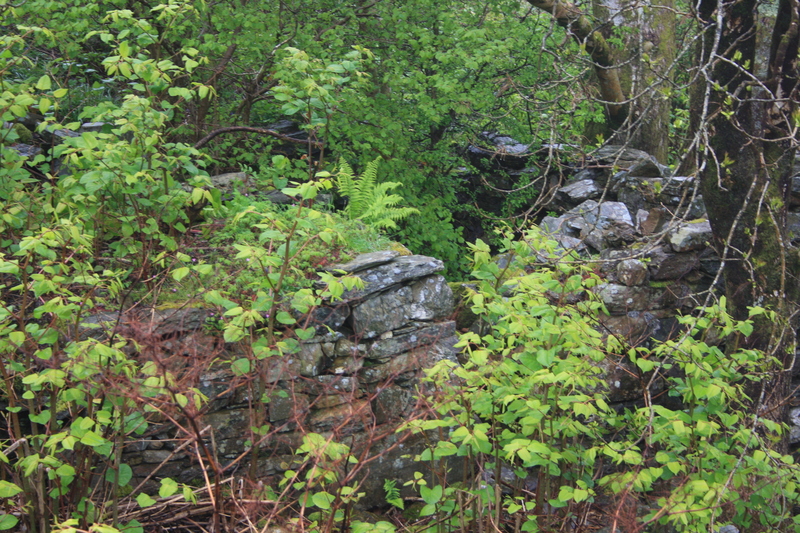 For this reason it has been suggested that it might have been the old sacred well of Ffestiniog but it is not associated with any saint and is known only as Y Ffynnon. According to the notes on the Archwilio website, the owner of the farm in the 1990s believed the building was the remains of the old church of St Michael and that water from the spring had been carried to many churches in the area for use in baptism. I am not aware of any other written evidence for this idea. On the basis of a visit in 1994 another note state that there are actually two buildings on the site connected by 6 slate steps. 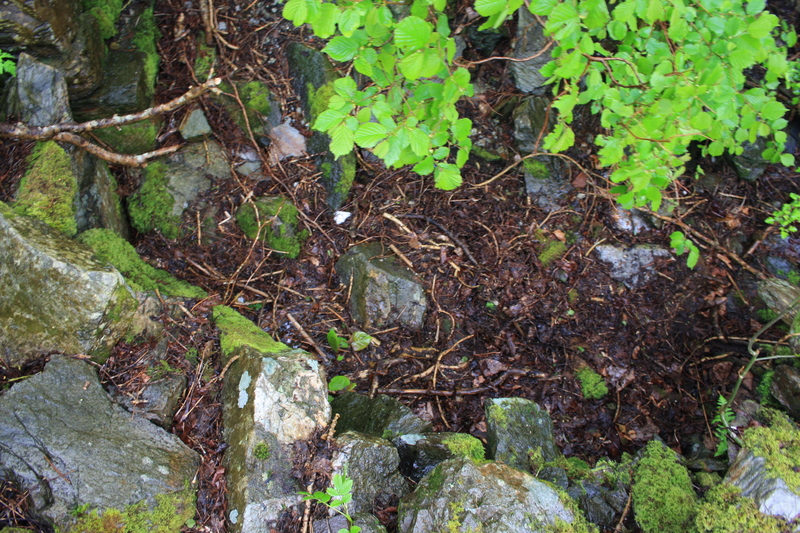 Efforts to restore the spring in the 1990s appear to have come to nothing, and thus it remains buried within the ruins of the cottage beside the stream, gradually being taken over by rampantly growing Japanese Knotweed.